"Full Sail Sunset" start off as an experimental painting with some newly discovered water soluble oil paints that didn't interfere with my allergies. At first, I thought the concept would prove to be mushy or the colors would not come out as brilliant as traditional oil paints or would not dry quite well. However, I was proven wrong. As one can see the painting turned out extremely well and I have utilized this medium for quite sometimes. 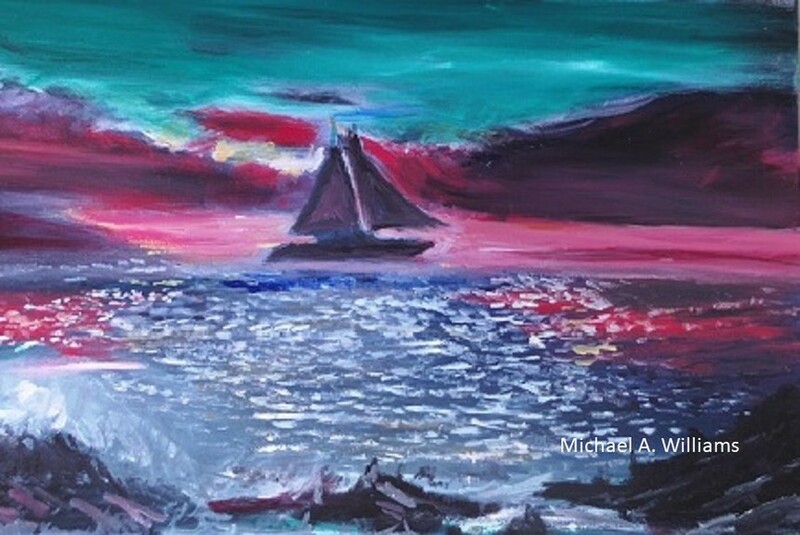 "Full Sail Sunset" has not been associated with any series just yet. But, as time progresses and more seascapes are still under production, a new series could be announced soon.